Are you searching for a reliable putter with stable flight? 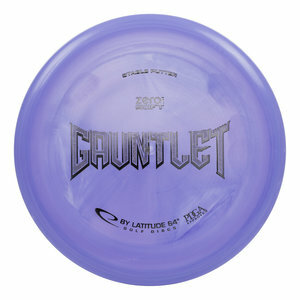 Then it is time to challenge the course with the Gauntlet, a high profile putt and approach disc with a beaded rim. A stable flyer with good glide makes it a handy weapon in every bag. It is similar to the Macana but with less rounded lower rim.
. Hit your target dead center with the Gauntlet!